Direct hair color for temporary color changes. Direct hair colors in 8 tones which can be mixed together. 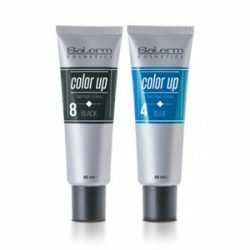 Color Up works by coloring the hair shaft and enveloping it in a layer of direct color without the need for any kind of mixing.